Betting tip: Bayer Leverkusen‘s three wins this season have all come via a 1-0 scoreline and with Augsburg conceding an average of one goal in the second half of each of their last six games, odds of 6/1 on Leverkusen to win 1-0 away are worth a bet. Betting tip: Freiburg have scored two goals in the second half of both of their away games in the Bundesliga this season, with Demba Papiss Cisse on the scoresheet on both occasions. You can get odds of 24/1 on Freiburg to score twice in the second half, with Cisse scoring at least once, which could be worth a small punt. Betting tip: Borussia Dortmund have scored an average of just over two goals a game at home this season. With a 2-0 correct score bet available at 6/1, this could prove a chance to cash in. 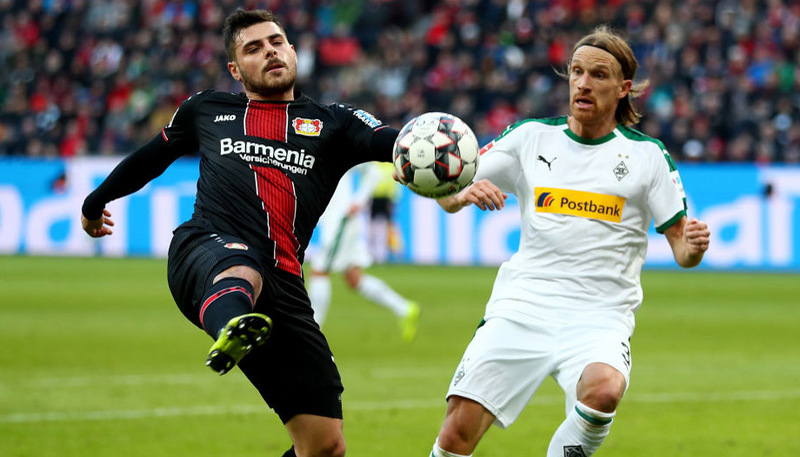 Betting tip: Gladbach have failed to score in their last three encounters with Kaiserslautern and, following their 1-0 defeat to Schalke, odds of 18/5 are available on the home side drawing a blank once again. Betting tip: Mainz have scored exactly two goals in each of their three last home games and we would back them to do the same at 13/5 against a Hoffenheim side that conceded two last week against Werder Bremen. Betting tip: Both of these sides have conceded a single goal in each of their last three games. With Hannover picking up back-to-back 1-1 draws in their last two games, odds of 23/4 on a 1-1 scoreline are worth a look. Betting tip: Hamburg are in free fall whilst Bremen are finding goals easy to come by. Marko Arnautovic has grabbed two in his last two and we’d back him to add to that tally. Back him to open the scoring and the game to feature over 2.5 goals at 19/2. Betting tip: Cologne’s Milivoje Novakovic enjoys the visit of Nuremburg to the RheinEnergieStadion. In the last two meetings, the home side have come away victorious, with Novakovic scoring the last goal of the game on both occasions – he’s available to do the same at 5/1. Betting tip: Three of Wolfsburg’s last four Bundesliga games have been decided by a margin of three goals while Schalke have conceded an average of three goals a game in the league this year. With both clubs demonstrating excellent attacking qualities alongside a tendency to collapse defensively, odds of 15/2 on one of these sides to win by three clear goals is our best bet.